In December 2016, Thrustmaster released the PC compatible TS-PC Racer as their new flagship wheel. 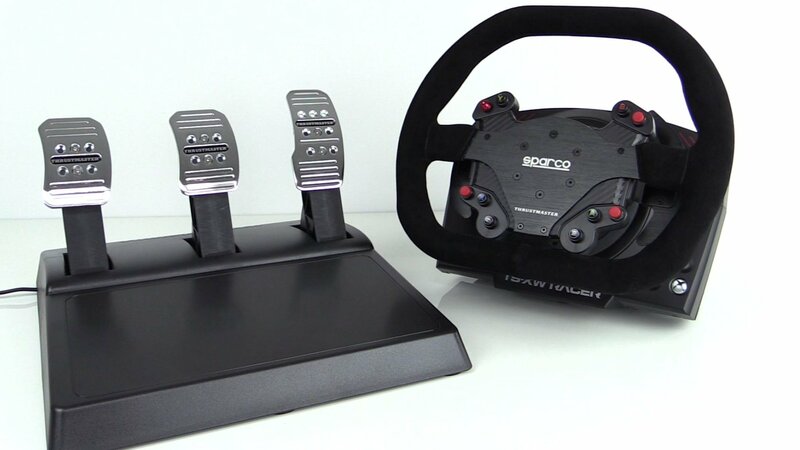 Now almost a year later, TS-XW Racer is here, the TS-PC Racer’s sibling that not only adds Xbox One compatibility but a brand new wheel from famous racing gear company Sparco. Does the addition of a real- honest-to-God-racing wheel push the TS-XW Racer over the top? Lets find out. We liked the design of the TS-PC Racer so we like the design of the TS-XW Racer. The base is quality feeling with a metal bottom that continues to the back and thick plastic sides. Visually, the TS-XW Racer sets itself apart with beautiful candy apple red accents and of course the Xbox One button on the front. The back I/O panel features a fan, modular power and USB connections, and connections for the included Thrustmaster T3PA pedals and optional TH8A shifter. You also can’t talk design without mentioning the turbocharger shaped power supply that is fun, has holes that you can take advantage of for mounting, and comes with a much longer power cable than the one that arrived with the TS-PC Racer. All-in-all, the TS-XW Racer design is the TS-PC Racer with red accents, and that’s not a bad thing. Keeping with the theme, “if it ain’t broke don’t fix it,” the TS-XW Racer has the same force feedback strength and smoothness as the TS-PC Racer. 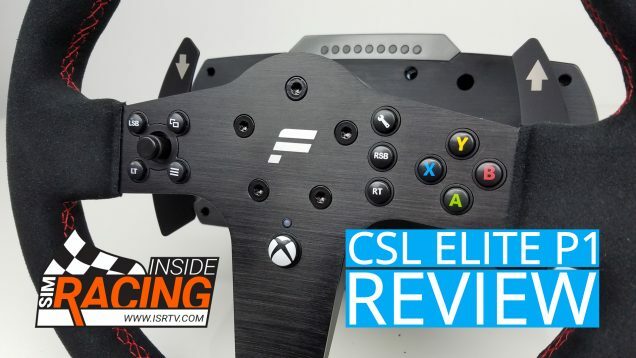 This means it’s stronger – about 50% if we had to put a number to it – and smoother than the mid-range Thrustmaster T300 and TX wheels, but it still has a familiar feel. The belt drive is noticeable – thus “familiar,” – but consistent through the turn and there is enough force feedback strength to compensate for the larger diameter wheel. Unlike in the past when you were best to run Thrustmaster wheels turned down a bit, the TS-XW Racer has no problem being ran at 100% force feedback strength in the Thrustmaster profile. At 100% the force feedback strength is detailed and strong enough to translate what the car is doing to your hands. The wheel base has a nice buttoned up feel to it, with no odd creaks or cracks while driving, giving it a quality feel. 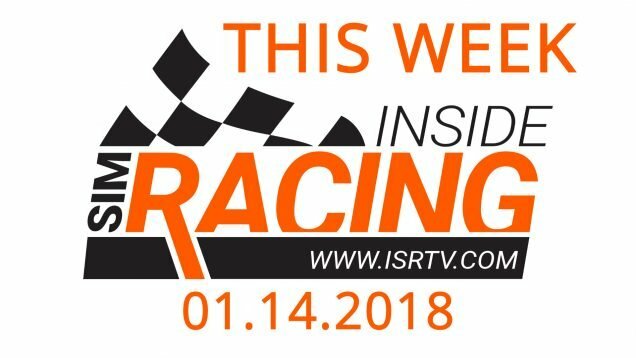 We also didn’t notice any slipping of the belt drive over long runs, a good sign and an issue that is becoming more and more a thing of the past in sim racing across the board. Like the TS-PC Racer, the TS-XW is enjoyable to drive and only enhanced by our next topic. Unsurprisingly, the Sparco P310 Competition Mod wheel is the star of the show. Coming in at 31 cm in diameter and featuring a flat top and bottom, this might be the best “all around” wheel out there. Thanks to the design and size I felt comfortable driving any type of car with it, from GT to open wheel to stock cars. It really is the perfect compromise. The wheel feels nice to the touch thanks to the suede wrap that has just the right amount of cushioning to keep you comfortable but in control. I also really like how the rim’s thickness and how it tapers in where you thumbs go, creating a nice pocket for you to leverage on. I mean, it’s like these Sparco guys actually know what they’re doing! Beyond the Sparco rim, the wheel features 9 buttons and d-pad with push function. The buttons are a refreshing departure from past Thrustmaster buttons with a concave shape and more positive spring back. You also get stickers with the wheel to relabel the buttons if you like. I do like the how the d-pad stick is almost hidden thanks to its design, but it is easy for you to accidentally push in the wrong direction so you have to be very sure of your inputs. Something else that’s a first for Thrustmaster wheels are the adjustable paddle shifters. There are two sets of holes that allow you to move them in and out depending on your finger reach and it’s a nice detail to the nicely shaped paddles. What hasn’t changed – and for the better – is the Thrustmaster universal semi-quick release system that allows you to use any Thrustmaster wheel with the wheel base. In the end, the Sparco P310 Competition Mod wheel did not disappoint. It looks great, feels great, and is one of the best all around wheels out there no matter what you drive. In isolation, the T3PA pedals are good for the price. For at or around $100 you get three pedals with a brake pedal that features the rubber “conical brake mode” that provides some resistance to the pedal’s travel and makes it feel more believable. The issue is, we’re not in isolation. While the T3PA’s felt at home being bundled with the T300 or TX wheels, it feels pretty outgunned when bundled with the TS-XW Racer. For the quality of the wheel and wheel base, it should really be bundled with load cell pedals. Unlike pedals that use potentiometers to measure the distance the pedal has traveled to register the input in game, load cell pedals – and by load cell pedals we mean the brake – measures the amount of pressure you are applying to the pedal. This makes the pedal feel much more realistic and gives you more control. The issue is, Thrustmaster doesn’t have any load cell pedals. This means we are left with the – not bad but not great – T3PA pedals. Is it nice to have a full package for those who need a wheel and pedals? Sure. But considering the price point, I’m not sure how many people will fall into this category. Which brings us to our next topic, price. Originally, I was going to list the price as a con. $650 is a lot for a package that doesn’t include a load cell brake. But then I stepped back and did some research. The Sparco P310 Competition Mod rim retails for $250. $250 just for the rim! This got me thinking, “How much time and money would it take to buy a P310 rim and mod it to have buttons, paddle shifters and mount to the wheel base?” I came up with way more hours than I care – or have – to spend and at least another $100-200, which is inline with other custom wheel’s such as Ricmotech’s MOMO Mod 31 Thrustmaster Add-On wheel that retails for $450. So when a do-it-yourself rim of questionable fit-and-finish quality costs $400-ish and time you don’t have, the $650 turn-key price tag suddenly doesn’t sound so bad. Like a lot of you out there, I would like to see it sold seperately. For people that already have Thrustmaster wheel and pedals, or just a Thrustmaster wheel, it’s a tough ask to have them buy pieces they don’t need. With that said, I do understand Thrustmaster’s reasoning behind bundling. 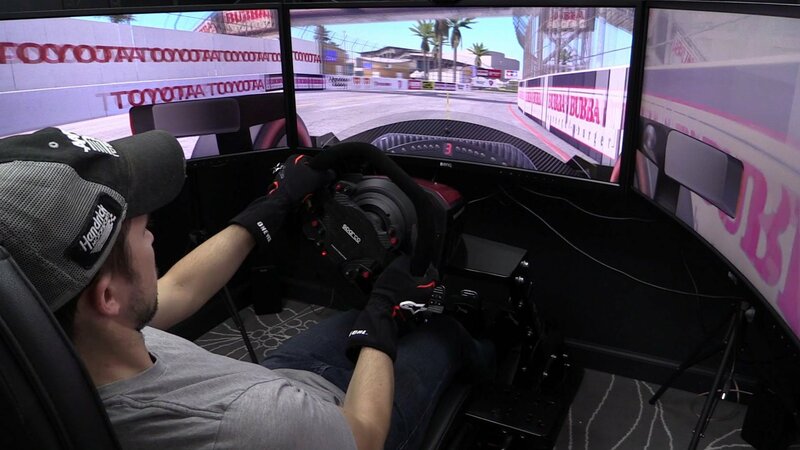 First, it offers an all-in-one solution for those who don’t have a wheel and pedals, especially those on the Xbox One. Second, the bundling might be masking the “sticker shock” of the Sparco wheel. 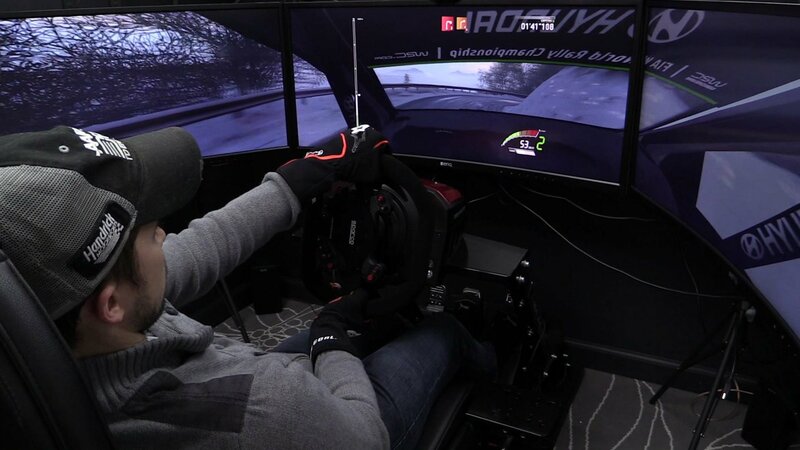 As we mused earlier, if the Sparco rim by itself retails for $250, how much would a functioning sim racing version retail for? Are customers ready to see a three digit number that starts with a 2….or a 3? Especially when the current most expensive wheel – the 599XX Evo 30 – retails for $180. But even if that is indeed a concern, I think the P310 wheel should be offered by itself. And who knows, maybe that is the plan for it down the road? 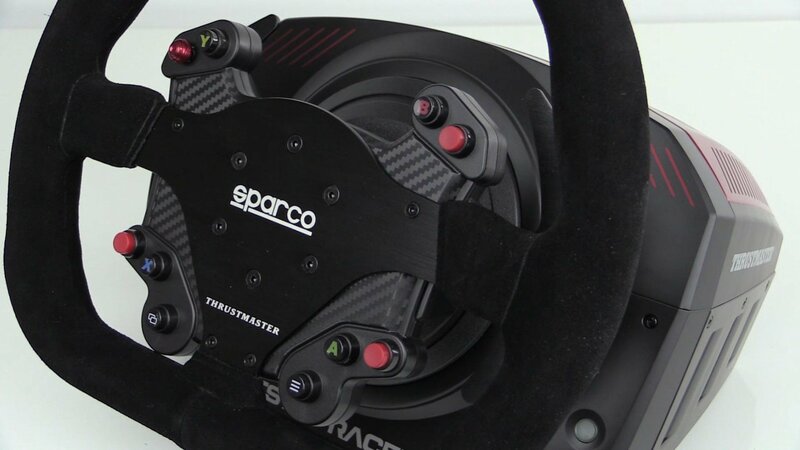 One thing that does give me some hope is that there’s another Sparco Thrustmaster wheel coming, the R383, and we haven’t heard anything about it being bundled. So if the R383 is released as an add-on wheel, maybe there’s hope for the P310 down the line. If I could sum up the Thrustmaster TS-XW Racer in one sentence, it would go like this. The T3PA pedals are okay, the TS-XW wheel base is good and the Sparco P310 Competition Mod wheel is great. This conclusion makes it an interesting package to recommend. On one hand you’re getting a deal considering the cost of just Sparco P310 Competition Mod rim. On the other hand, you’re paying $650 and just getting okay pedals whether you need them or not. The answer to whether or not you should buy this bundle depends on your want of the wheel and your situation. If you want a genuine Sparco wheel that’s a one stop shop no matter what you race – aka saving you money not having to buy other wheels – then it’s not going to get better than this. If you are looking for the whole racing package, then you either need to be prepared to (potentially) spend more money on load cell pedals – and adapter if you’re racing on the Xbox One – or pass and go a different route. But if you want that authentic feeling experience via your hands, then the Sparco P310 Competition Mod certainly offers that.